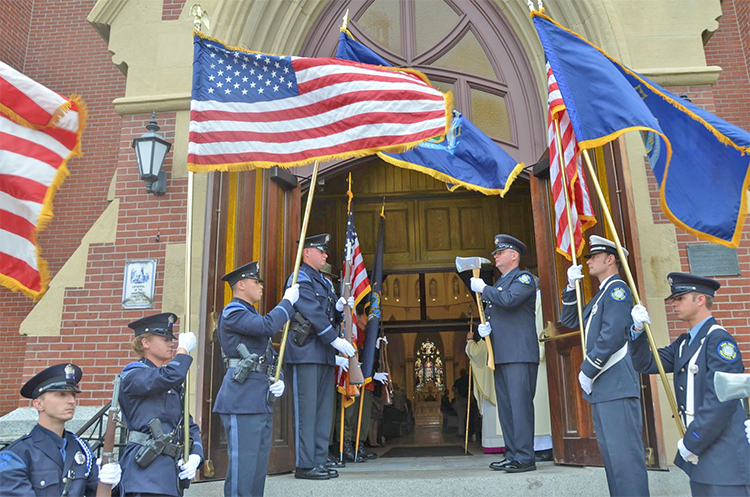 Hundreds of local, state, and federal law enforcement officers, firefighters, and emergency personnel will be recognized for their faithful commitment and self-sacrifice at the Blue Mass on Sunday, September 10, at 10:30 a.m., at St. John’s Catholic Church on 217 York Street in Bangor. Bishop Robert P. Deeley will celebrate the Mass, joined by priests and deacons from throughout the diocese, and show gratitude to these dedicated heroes. People of all faiths are invited to attend and join in showing our gratitude to these dedicated heroes. All active and retired members of the public safety community are encouraged to come with their families and in uniform. More info from the Diocesan website.